The Fitch home opened in 1864 to care for Civil War veterans and orphaned children. It became CT’s veterans hospital in 1887, and was replaced by the current veterans’ facility in Rocky Hill in 1940. 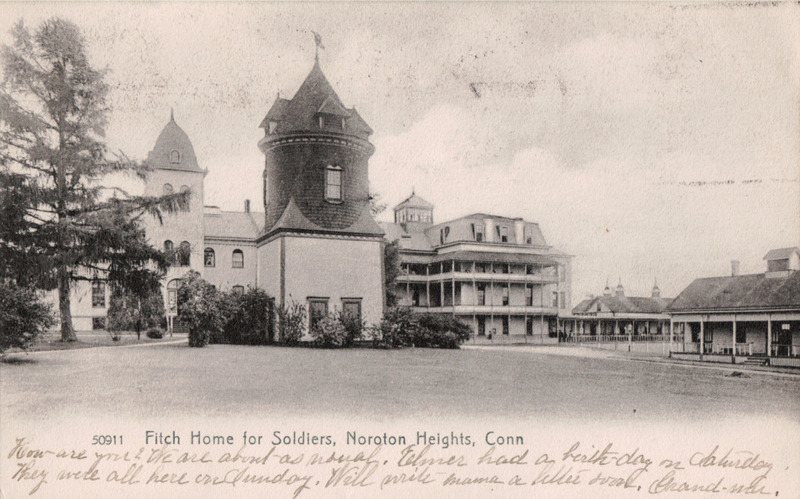 The postcard was mailed in 1905 to Maplewood, New Jersey.